Improving antibiotic use could help reduce unnecessary antibiotic prescriptions in health care settings. When antibiotics are taken when they aren’t needed, they won’t help patients get better and the side effects can be harmful. Improving the way health care professionals prescribe antibiotics and the way patients take antibiotics will help us stay healthy, help fight antibiotic resistance, and ensure that life-saving antibiotics will be available for future generations. MDROs are microorganisms, predominantly bacteria, that are resistant to one or more classes of antimicrobial agents. The prevalence of MDROs in U.S. hospitals and medical centers has increased steadily the last few decades. Although transmission of MDROs is most frequently documented in acute care facilities, all health care settings are affected by the emergence and transmission of antimicrobial-resistant microbes. According to the Centers for Disease Control and Prevention (CDC), the prevention and control of MDROs is a national priority – one that requires that all health care facilities and agencies assume responsibility. In addition to teaching pharmacy practice at UAMS College of Pharmacy, Dr. Crader is the lead antimicrobial stewardship pharmacist at St. Bernards Medical Center in Jonesboro. Her work includes improving health care processes and provider knowledge to result in a positive impact on patient outcomes in both the inpatient and outpatient settings. Dr. Crader is involved at the state level as a member of the Arkansas Department of Health’s antimicrobial stewardship subcommittee and is the chair of the Arkansas Association of Health-System Pharmacists’ Antimicrobial Stewardship Task Force. Ms. Higdem is an infection preventionist with more than 30 years’ experience. She completed her BSN from the Baptist College of Health Sciences, in Memphis, Tenn., and earned a Certification in Public Health from the Fay W. Boozman College of Public Health, in Little Rock, Ark. After a 30-year career at the VA Medical Center in Little Rock where she served as the infection previontionist for 27 years, she took a six-month retirement and then began work as the director of the infection prevention program at the University of Arkansas for Medical Sciences. 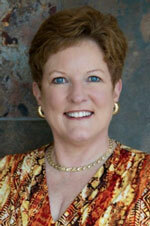 She has maintained certification in Infection Control since 1995. Ms. Higdem’s expertise in high-level disinfection/sterilization led her to perform visits, teach and complete inspections in 10 VA Medical Centers between 2009-2013. 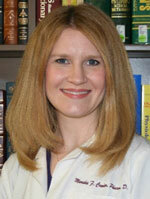 She has served in several leadership positions in the state APIC chapter. She is employed in the role of infection prevention at the Arkansas State Hospital, a 220-bed behavioral health facility.